If you are a sneakerhead and you also happen to Nike, then you’re in for a treat. 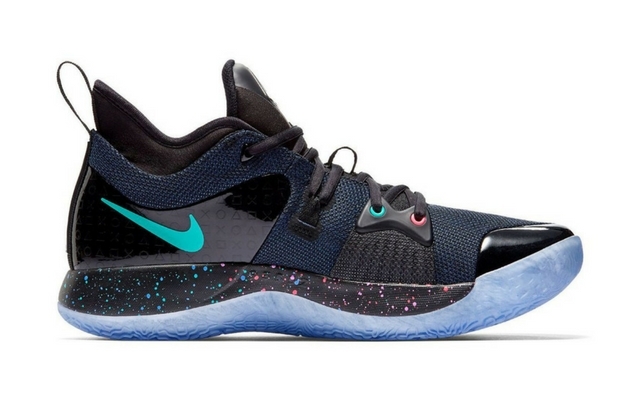 Here are the new PG-2 sneakers in “PlayStation” colorway. Even if basketball sneakers are not your jam, it is hard to overlook this pair. Paul George worked with Nike and Sony to create this PlayStation colorway. In case you don’t know, George is an Oklahoma City Thunder small forward in the NBA. It is also worth noting that the new PG-2’s silhouette is more or less similar to its predecessor, the PG-1. In fact, it is also designed by Tony Hardman, the same lead designer behind George’s first sneakers. The new PG-2s are also one of the nerdiest and tech-infused sneakers to come out in a while. The pair sports a “PS” logo that lights in blue on one tongue, whereas on the other tongue, we have George’s logo . You can also choose to turn the lights off by pressing a button inside the shoe. These lights use self-contained batteries inside the sneaker which Nike said the power has a lifespan of more than 150 hours. The power is also used to mimic vibrations from a DualShock controller as you press the button. Talking about the sneaker itself, the upper features galaxy-themed graphics, which resemble the company’s dynamic PlayStation wallpapers. And if you’ll look close enough, it is hard to miss that the lace locks have the same colors as the buttons on the PS controllers. In addition, the leather panels on the sides feature the PS button logos. It also has Nike’s Zoom cushioning technology in the midsole. Well, if that’s not enough for you, then check out the back of the sneakers. The left heel has a PlayStation Network voucher code which will allow you to download a “Paul George Dynamic Theme” wallpaper for the PlayStation 4. The PG2 “PlayStation” colorway sneakers will be available on February 10, 2018. And coming to pricing, it is priced at $110, which is great pricing considering the fact that it is Nike-Sony collaboration. That being said, you’ll have to act fast if you want to own one of these since it is a limited edition model.